Do you love to write? Help us to tell stories that change the world. Athentikos is currently seeking experienced writers and bloggers to produce weekly blogs about creativity and authenticity in mission, and stories about Athentikos and our partners. There are other writing opportunities at Athentikos including developing monthly newsletters and grant proposals. Amplify authenticity and multiply mission for Athentikos and its partners by writing engaging creative and journalistic blog stories on a monthly basis. Do you love design? Are you fascinated with leveraging visual elements to communicate and inspire an audience to action? We’re looking for experienced graphic and UX designers to amplify authenticity and multiply mission through engaging design including internet, social media, newsletters, posters, and motion graphics. Leverage your talents to make a difference in the world. Do you love programing? Are you fascinated with coding computer platforms to inspire an audience to action? We’re looking for experienced web programers to build applications that can expand our mission. Do you love engaging in community online through Twitter, Facebook, Instagram, Pinterest, and the ever growing social media platform? 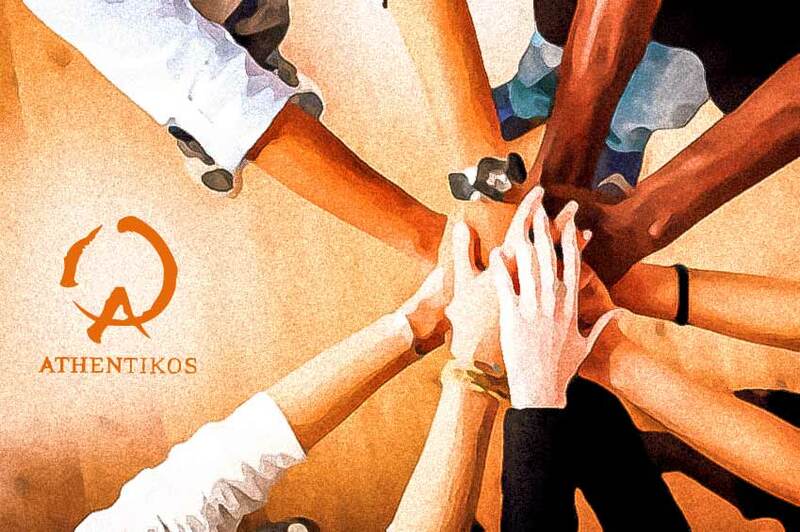 Help Athentikos amplify authenticity and multiply mission by growing a greater community through social media. This would include reposting media from Athentikos, as well as generating unique social media in line with the Athentikos vision. Do you have experience and passion in raising funds to multiply mission? We are seeking confident and creative individuals to initiate, manage, and grow our fundraising efforts. Do you love visual story and have experience in audiovisual production? Do you have a passion to use your experience and gifts to make the world a better place? Help Athentikos amplify authenticity and multiply mission by joining our production team. We’re looking for producers, directors, camera operators, photographers, audio recordists, editors, post production producers … basically everything related to producing compelling visual story around the world. Do you have the gift of networking? Can you craft a plan to share the Athentikos mission through strategic gatekeepers? Does developing strategic goals through Google Analytics energize you? We’re looking for experienced PR and Marketers to help connect and grow the Athentikos mission to a resonant community around the world.